The Cavern Club today is a major tourist attraction and a place of pilgrimage for music fans from all over the world. It is also, importantly, a thriving live music venue with live music every day of the week on both stages. 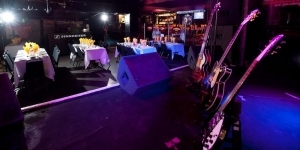 The Cavern Live Lounge is the part of the venue that is available to hire, subject to availability (NOT AVAILABLE – FRIDAYS or SATURDAYS The Cavern Live Lounge). We appreciate that all Private Hire enquiries are individual and will be tailored to your individual requirements and budgets. To assist your enquiry, here is some general information and options for you to consider. 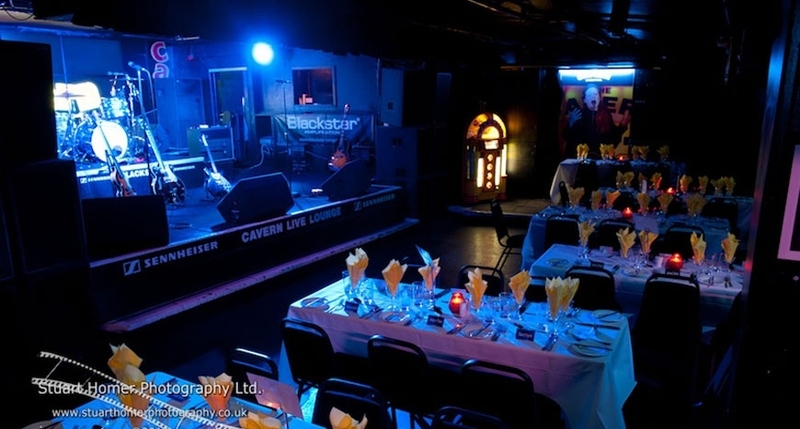 The Cavern Live Lounge is available to hire Sunday – Thursday (subject to availability). This is the room and stage that Sir Paul McCartney played on his historic return to the Cavern in December 1999. Other artists to have played the Cavern Live Lounge in recent years include, Oasis, Travis, Arctic Monkeys, Jessie J, Jake Bugg and Adele. The Live Lounge is a flexible space and suitable for many types of events. We can provide a full range of live music. From our roster of resident bands and artists we can suggest anything from a solo artist to a full band. The majority of events choose a Beatle band for their entertainment. We have a choice of Beatle bands for your selection as well as many other bands, all reflecting the Cavern’s rich musical heritage. Liverpool catering company, Garsan Events provide all of our catering. A full range of options are available including canapés on arrival, hot and cold buffet or three course dinner. The Cavern Live Lounge has a fully self-contained bar. We can offer a wide range of bespoke drinks options including drinks receptions and special “Cavern” themed cocktails.